A Lancashire Church of England church – leading the way in developing strategies for welcoming and supporting people with dementia; their carers’ and families into church life – is hosting an ambitious day-long training conference later this month. St Thomas’s Church in Lancaster city centre is inviting representatives from churches throughout the County to the ‘Being a Dementia Friendly Church’ Conference on March 15. 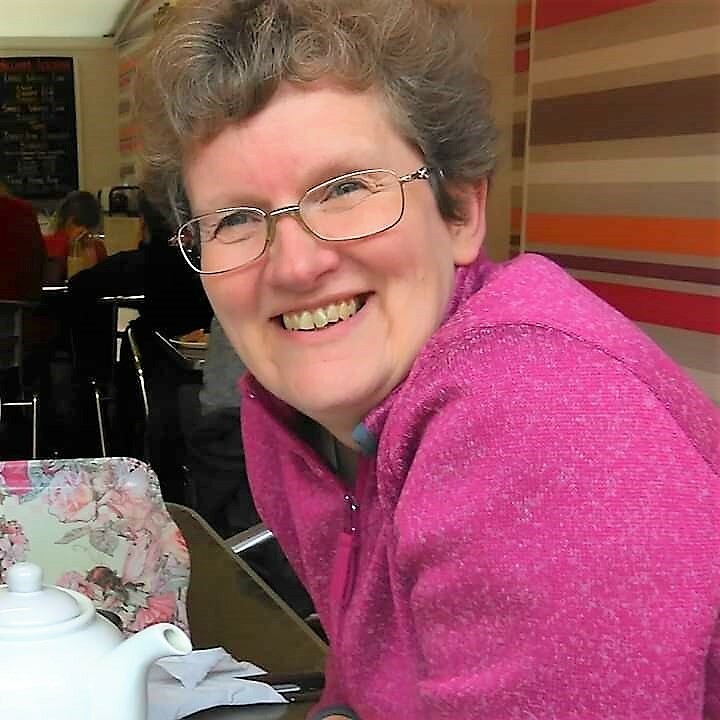 St Thomas’s has been developing its ministry to people living with dementia and their carers for the last five and a half years, since the appointment of Third Age Coordinator Jeanette Main to work with older people in the church and community. 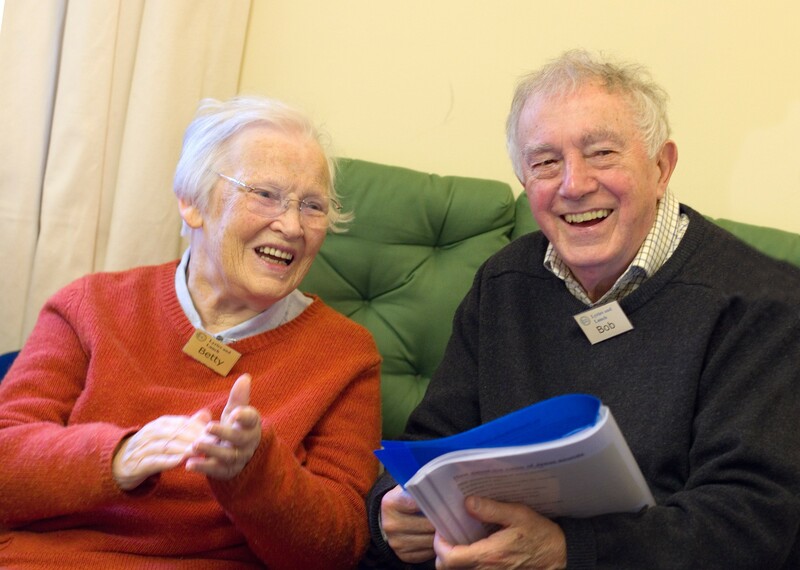 Jeanette is also a Music Teacher, and she began a ‘Lyrics and Lunch’ group, for people with dementia and their carers in 2013. The group is a joint venture with St Chad’s Church Skerton. 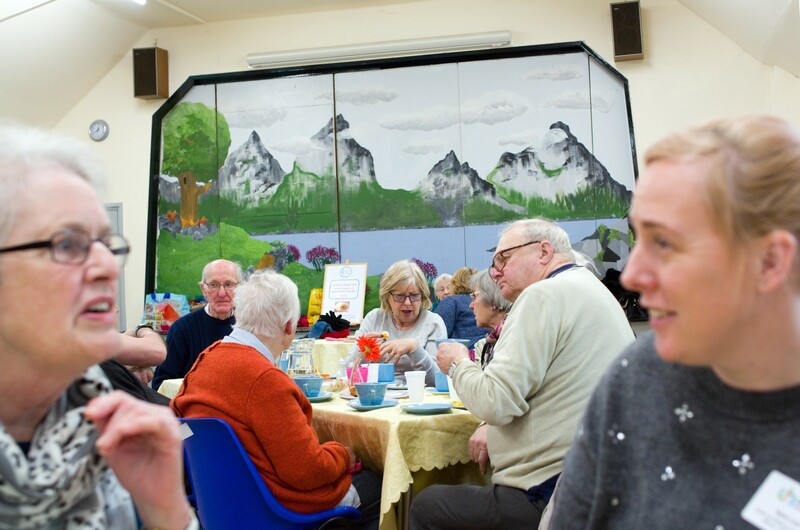 Lyrics and Lunch became so popular that Jeanette and her team now run two groups; morning and afternoon, and both groups come together for lunch, which is home-made soup and sandwiches, cakes and fresh fruit washed down with tea or coffee and a lot of laughter and companionship. “Carers can share with others in the same boat, and the warmth and friendship we share means that we all go out feeling happier,” says Jeanette. In 2016, the Lyrics and Lunch initiative won first prize in the Premier Radio Love Britain and Ireland Awards in the category of Working with Older People. That same year the scheme made the finals of The Cinnamon Network Incubator Project Competition. As part of the prize Jeanette received training and advice from Cinnamon, an organisation that helps churches turn their good ideas into a model other churches can follow. In a further positive development, Jeanette has built links with the Dementia Enablers Initiative begun by David Richardson, the Cumbria Churches Together Dementia Ambassador. This provides training so that people can help in their local church; looking out for people with dementia and their carers; knowing something about what they need and helping the church leadership to cater for them. Jeanette and David are both speaking at the training conference on Friday, March 15, from 9.30am-4pm. The morning will cover Dementia Enablers and include some input from carers, professionals and church leaders about how churches can minister to those living with dementia and their carers. There will also be time for questions and discussion. A lunch of soup and sandwiches will be served at a cost of £3, and this will be followed by a special Lyrics and Lunch, launching the project as a network of groups with the help of celebrated Christian singer and raconteur Jonathan Veira. Jeanette looks forward to welcoming all those from churches who would like to attend please, and she can be contacted by email: Jeanette@st.tees.org.uk for a programme and to book, or alternatively by phone on 07486 985 357. Canon Ed Saville, Blackburn Diocese Lead Officer for Social Responsibility, welcomed the initiative at St Thomas’s: ‘Anything that the church can do to support people living with Dementia and their carers is to be welcomed. This is a really good example of the type of work that can be done. “Churches can do very simple things which would assist people living with Dementia to fulfil their spiritual needs. Some churches arrange special services; others make sure that their buildings are well signed and lit. Services can be made accessible to all, with careful planning; a ‘buddy system’ can allow the carer to take part without constantly worrying. Rev Jon Scamman, Vicar of St Thomas’ added: ‘The beauty of Lyrics and Lunch is that it is such a simple and practical way to reach out to people in our communities. “If a church has someone who can make soup and sandwiches, and someone who can lead singing, then the raw ingredients are already there.